Our mission is to provide signal transmitters to individuals who are diagnosed with a cognitive disorder, such as Alzheimer’s, Dementia, Down Syndrome, Autism Spectrum Disorder, or other related cognitive disorders. When wearing an operational transmitter, it allows us to quickly locate the transmitter and in turn those who have wandered or who have become lost. The Project Lifesaver Program uses Radio Frequency (RF) technology for its client’s transmitters. The major advantages to using RF technology is its accuracy of signal and strength of signal. The signal is minimally diminished by physical obstructions or weather. 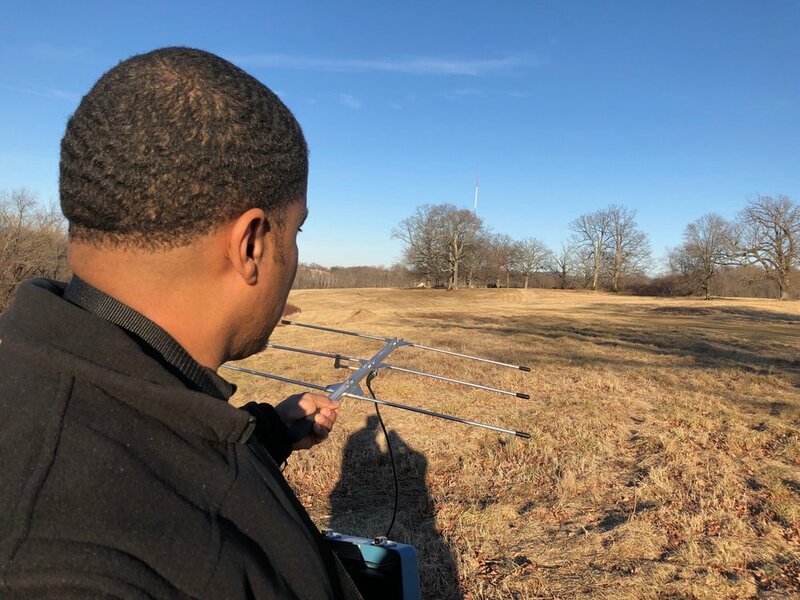 Unlike GPS and assisted GPS, RF technology does not required signals from satellites or cell phone towers. RF technology relies on no other technology to work. The Albemarle County Sheriff’s Office can respond rapidly in the event that a client wearing the transmitter becomes missing. Deputies assigned to the Project Lifesaver Program are situated throughout the county and are available to respond when called upon. For more information on Project Lifesaver, you may click here to download our Project Lifesaver Brochure or contact the Albemarle County Sheriff’s Office through the ”Contact Us” section of this website. Client must be an Albemarle County resident. Client has a qualifying medical condition. Such as being diagnosed with Alzheimer’s, Dementia, Down Syndrome, Autism Spectrum Disorder, or other related cognitive disorders. Client must be currently cared for in the home. Caregiver must be able to inspect transmitter on a daily basis. When you are ready to enroll your loved one in the Project Lifesaver Program, contact the Project Lifesaver Coordinator at (434) 972-4001 and ask to be enrolled. They will schedule a deputy to come to your residence to meet with you, gather client specific information, attach a personalized transmitter to the client and instruct the caregiver on the proper use and care of the equipment. On a bi-monthly basis, a deputy will arrange to come to the client’s residence to inspect, service and change the transmitter’s battery. Before the appointment date, please download our Client Information Form and completely fillout the requested information.